Despite the historical changes roiling the Middle East, this blogger has been quiet. I've been on vacation in Miami. While I've kept an eye on email, cable news, and Twitter, Miami is a very distracting place and I've been unable to concentrate on the deeper analysis necessary to shed light, not heat on events. 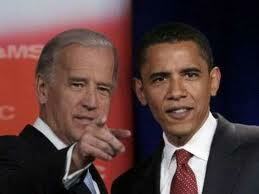 (Although I did manage a quick post about Biden's role in the current crises on this blog's sibling.) Anyway, as my friend Ilan Berman observed just before going on a recent vacation, "Whatever, let this play out, I'll be back in a week, it'll still be going on. It's no big deal." But one thing I saw in Miami was profoundly thought-provoking. 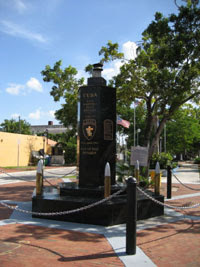 Wandering along Calle Ocho, the heart of Little Havana, we came to the memorial for those killed in the Bay of Pigs operation. The Bay of Pigs is THE case study in Presidential fecklessness and poor decision-making. This is certainly worth considering as the US backs into Libya's civil war. Castro was of course a darling of the international left, but like so many other 20th century dictators he proved far more evil then the corrupt authoritarian he displaced. (There is an old story of the two old Polish Communists who had been imprisoned together in the1930s. Meeting decades later in NYC they recall who they had sat together in their cells and railed against Marshal Pilsudski as a terrible dictators. Then they nod, saying, "We didn't know anything about dictators then.") This was the point of Jean Kirkpatrick's classic essay, "Dictatorships and Double-Standards" - sometimes supporting our SOB is both the prudent and even moral thing to do. Finally, even if, somehow the Bay of Pigs could have been successful, it might have had other costs. Latin America has had a long, difficult experience with US intervention. Another American-backed coup might have inspired greater anti-Americanism throughout the region increasing the costs of collaboration between the US and Latin America. Food for thought as the president attempts to protect US interests as country, after country in the Middle East undergoes turmoil. Another, of the myriad possibilities is what if Bay of Pigs wasn't defeated quickly, but also wasn't strong enough to overthrow Castro plunging the island into an endless civil war. Since the CounterTerrorismBlog is no longer publishing I am re-posting my old CTBlog posts. This one will be relevant to an upcoming post about terrorism in Los Angeles. The piece was originally posted on June 1, 2007 here. Waiting for a shuttlebus at LAX (Los Angeles International Airport) a few days ago, I noticed an abandoned bag. It was an odd place to leave a bag for a few minutes. When I alerted the nearest airport employee – a baggage handler – his reaction was indifference. The bag’s owner turned up about 10-15 minutes later. The bag had recent flight markings, definitely looked like it belonged to someone, and had been left in a less than ideal location for a bomb (outdoor waiting area with only a few people at a time.) So there were plenty of reasons not to regard the bag suspiciously. But I don’t think that the airport employees I alerted had applied an analytical framework and made this determination. It did not appear that they had any particular awareness of what to do or who to contact. The employee's indifference was surprising. LAX has been the target of at least two terror attacks. When Ahmed Ressam was caught at the US-Canadian border on December 1999 with a trunk full of explosives, he intended to plant them at LAX as one component of al-Qaeda's planned Millenium attacks. On July 4, 2002 an Egyptian immigrant, suspected of having links to the Muslim Brotherhood, shot up the El Al counter at LAX, killing two and wounding four. Presumably the LAX administration would have instituted awareness training and procedures for all airport employees. Israeli and also British acquaintances react nervously when they encounter abandoned bags in public places. This comes from those countries’ long years of experience with terrorism. Both governments recognized that an aware and prepared citizenry is a nation’s greatest homeland security asset. The investigation into the Fort Dix Six, spurred by an alert Circuit City clerk, is another illustration of that principle. It is worrisome that a major potential target has not seen fit to develop a comprehensive security awareness program and to take advantage of this valuable asset. Frank Buckles, the last surviving American WWI veteran was laid to rest today at Arlington National Cemetery. With his passing, WWI will fade from our national consciousness – this is profoundly unfortunate. It is difficult to grasp the scale and horror of World War One. For a long time it loomed large. As late as the 40s and 50s, in fiction (in particular Joseph Kennedy’s Albany series and Robertson Davies Salterton and Deptford trilogies come to mind) as the young men return from the war, the middle-aged men who run things think back to their time in the trenches. But ultimately, the “Big One” was lost in the history books between the Civil War, the Great Depression, and World War Two. It has no clear narrative. World War II had Hitler, an evil genius of monstrous proportions. The Civil War was fundamentally about ending slavery (a monstrously evil practice) and preserving the union. 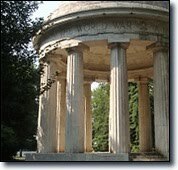 What was World War One about? Turn of the century Europe was a beautiful, sophisticated civilization. The flower of European youth marched into battle with the Iliad in Greek and the Aeneid in Latin in their packs. And they were killed on a massive unprecedented scale. World War II will always overshadow World War I, and for Americans the Civil War will continue to be central to our understanding of ourselves. But World War One, a profound example of the human capacity for folly and madness, has deep lessons for us and for all time. None of this is to lessen the heroism of the doughboys. They were called to serve and they did so (and the United States attempted to steer clear of Europe’s madness). But the talent, youth, and virtue of a generation in Europe were squandered and this should be remembered always. Also, this is a blog about terrorism. But it is worth putting this threat into perspective. Over 8 million were killed in “War to End all Wars” – the terrorists are bad, bad people but relative chumps by comparison. This generation is fortunate in its enemies. Finally – fix the World War One Memorial it is the least we can do to keep the lessons of history alive. So a bold new assistance program should be designed for the region, modeled on the Marshall Plan in Western Europe after World War II, or on the support offered to Eastern Europe afterthe collapse of the Berlin Wall. Financing should come from the International Monetary Fund, the World Bank, the European Bank for Reconstruction and Development, as well as from the United States, the European Union, China, and the Gulf states. The goal should be to stabilize these countries' economies as they undertake their delicate political transitions. How to avoid a post-democratic crackup? What's needed is a multilateral version of the Marshall Plan - that is, a framework of loans and other assistance that can steady the Arab countries as they make their transition to democracy and prosperity. America isn't really an option; we don't have the money, and our politicians wouldn't want to give it to foreigners, anyway. But I'm happy to report that there's an answer to this Middle East puzzle. The institution that was created 20 years ago to oversee Eastern Europe's transition, known as the European Bank for Reconstruction and Development (EBRD), is ready to take on this new mission. I talked Tuesday withThomas Mirow, its president, who said his organization is ready to act as a "bank for economic and political transition" in Egypt and neighboring countries. The Europeans have the expertise. As Mirow notes, the new Arab democracies have the same problems that Eastern European countries did: weak private sectors; feeble small and medium-sized business; and poor infrastructure. The EBRD has the money, too, with about $17 billion in capital and the ability to raise far more from lenders. Mirow foresees providing about $1.4 billion to Egypt over the next several years, and up to twice that amount to neighboring countries. He's already thinking about opening an office in Cairo, so that Arabs will see this "bank for transition" as their own. White House officials like Mirow's idea for assisting the new democracies of the Middle East. This approach avoids the stigma of assistance from the International Monetary Fund or the basket-case aura of aid from the World Bank. It puts Egypt and its neighbors in the same category as Poland or Bulgaria - countries whose economic and political systems were shattered by authoritarian rulers. Perhaps the European bank could partner with the Inter-American Development Bank, which has expertise in transition from "Peronist," military-led systems. The Marshall Plan was a unique situation. But besides the Marshall Plan, has the record of international development been terribly good? Are the great economic success stories successful because of aid? True, Japan and Europe benefitted heavily from American aid after WWII. But if those countries hadn’t destroyed themselves in the WWII, they would have been prosperous without American help. Since the fall of the Berlin Wall, many Eastern European countries have done well, but overall the record is a mixed-bag. Despite American aid, Russia’s wealth has primarily stemmed from energy exports – not reforming its economy and producing goods and services that are competitive in the world market. The United States and the international community have sent billions in non-military aid to Pakistan (along with even more military aid). In particular, IMF aid to Pakistan is linked to reforms. But Pakistan resists these reforms because they would impinge on the prerogatives of key elements of Pakistan’s elites. The US, with varying degrees of intensity, has pushed similar reforms on the Egyptians. Is there any reason to believe the European Regional Development Bank will do better? It comes down to institutions. Eastern Europe looked west and preserved its institutions as much as it was able under the Communists. The Arab world still does not have these institutions. It is wonderful to believe that carefully targeted aid packages, but history does is not encouraging. This is not to say that nothing can be done. The brutal reality is that aid will probably be dispensed in order to ameliorate the disorder. That may be necessary and useful in giving Egypt a chance to develop the institutions it needs to survive – or at least avoid collapsing into chaos. 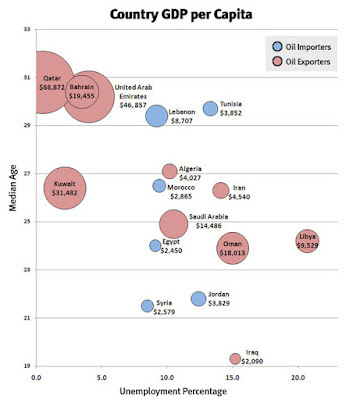 The visualization was neat, because it cleverly brought in four different factors (unemployment, median age, GDP per capita, and oil exporter or not.) But it also did not provide much of an obvious pattern. Libya had, by far the highest unemployment while Tunisia and Egypt (although this seems low) were more towards the middle of the pack. Tunisia has one of the highest median ages, while Egypt and Libya are again in the middle. As for GDP per capita, Libya is a substantially higher then Egypt and Tunisia (although lower then Bahrain). In short, the graphic does not point to an obvious next domino, although it does indicate that almost everyone in the region is a possible candidate. The same goes for troubles nations (and is there any other kind.) Since I work on this sort of thing for my bread and butter, I thought I’d kick in some thoughts on the kinds of variables needed. The first thing I wanted to know when Sheikh Qaradhawi landed in Egypt was his family’s longevity. Qaradhawi is 84 so statistically he is not likely to be around for too much longer and his energy levels are likely to diminish. But, the same could be said about Khomeini (who Qaradhawi is consciously imitating.) Khomeini returned to Iran at 76 and ran the country for the next decade. It is tough not to notice that octogenarians headed the two regimes that have fallen, Tunisia and Egypt. Libya’s Qaddhafi, who is only 68, is showing far more fight. Taking a quick scan around the region, the rulers of Morocco, Jordan, and Syria are all young. The rulers of Saudi Arabia are not. Age is not the killer variable that can explain all. It is related to a number of other issues. I am fascinated by organizations. Imagine a government agency or a business as a giant machine with people as the key parts. How does one evaluate if parts have broken, if the machine will do or is doing what is expected of it. Age relates to this, in that an 80 year-old dictator has been dictator for quite a while and has gotten used to his position. Since authoritarian regimes are often heavily personalized, if the dictator is not regularly engaged, then maybe the lackeys get lazy. Of course, on the other hand in Egypt and Tunisia it appears that strong institutions that had some initiative and standing independent of the president played a key role in forcing them out. Libya on the other hand doesn’t seem to have much in the way of institutions and is dominated by tribes. Regardless, much of the information about institutions is anecdotal and not systematic. Better metrics are needed to understand organizational effectiveness and priorities. I don’t mean to denigrate anecdotes – but they need to be compiled and coded not adopted haphazardly. In The Republic Socrates asks if one would rather be the tyrannical head of the house or the tyrant of the city. The other characters agree being the tyrant of a city is preferable, but Socrates disagrees, observing that the head of a household can rely on the city to support him if the household turns against him. The tyrant of the city can turn to no one. Syria would appear ripe for overthrow, but things have been fairly quiet. Two explanations leap out. First is that by placing itself in the vanguard of the opposition to Israel the Syrian regime has some justification for its citizens sacrifices, whereas Egypt – which has both economic decline and peace with Israel – cannot offer a justification. The other explanation is that Syria is the only Sunni majority country ruled by non-Sunnis. The ruling Alawite clan has to stay on its toes in order to avoid being overthrown. Mubarak may have been able to convince himself that the Egyptian people loved him – Assad would have few such illusions. With this clarity, the secret services would not slack off and the president’s attention would not wander. In that sense, weak regimes are strong because they need to be flexible and alert to stay in power in the face of ongoing challenges. This may apply to Jordan as well.